As I begin to blog more regularly this year, I thought I’d share some very personal ideas that might provide a stimulus for others. I have been reading an excellent book by Tim Keller: Prayer: Experiencing Awe and Intimacy with God. I have read a number of books on prayer over my lifetime, but none have helped me more than this one. I highly recommend it. Its combination of present relevance and ancient wisdom especially appealed to me. We talk very little about our prayer lives, and I would confess that for some stretches of my life I would have shied away from doing so because of the thinness of my devotional discipline. My own prayer life has waxed and waned over the years, never disappearing of course, but varying widely in its intensity and quality. 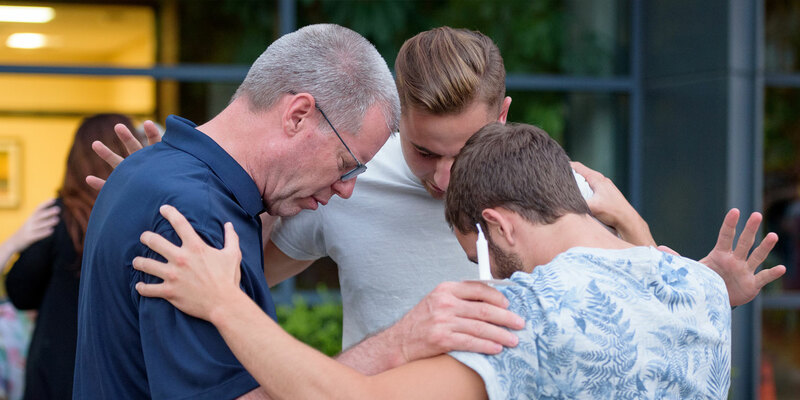 Since I came to Northwest University twelve years ago, structured daily prayer has become a staple of my routine in a more consistent fashion than ever before. Sometimes institutional responsibilities (like the welfare of some 500 employees and 2,400 students) force us to raise the bar. So today, I thought I’d share with you the current structure of my own daily prayer life. I do not claim that it offers a model that others should necessarily follow, and the past reminds me that my current pattern of prayer will shift with time. But I do hope that it will help others to think about the structure of their own prayers. Lately, in response to Keller’s book, I begin my prayers with the song “I’d Rather Have Jesus” (for Willie Nelson’s rendition, click here). I sing the song to remind myself, as St. Augustine taught us, that my desires are disordered and that I need Jesus more than anything I may think I want. I am desolate without God’s guidance and help. I keep that in mind especially when I’m called on to preach, but it’s as true in mundane daily life as in moments of public ministry. Afterwards, I pray the Lord’s Prayer, dwelling on each of the petitions for a little while, considering their implications for specific aspects of my life. I usually follow it directly with the Confiteor—an ancient prayer of repentance from sins of thought, word, deed, and omission. Afterward, I pray for each member of my family and the challenges they face or will face. I then turn to a prayer app where I keep my current list of daily prayers and pray for spiritual growth in specific areas of my life, especially in terms of acting positively to avoid temptation and failure. Then I pray for a Great Awakening in America. Obviously, I want to see the Kingdom of God advance everywhere, but I have a specific concern for the future of my own country. My list then turns to prayers for Northwest University as a learning community. From there, I pray for a number of key people with whom I have been sharing my faith and others who I want to see come to Christ. 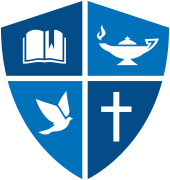 I then pray for key Christian leaders in business and the professions whom I know and love and for specific donors who have blessed Northwest. I pray for specific students and alumni of Northwest University. Then I turn my heart toward several friends who are suffering in the process of divorce or marital problems—an issue of tender concern for me because of what my family of origin went through. Bishops and church leaders follow, then missionaries and persecuted Christians around the world, including a specific pastor who is in prison on the other side of the world because the government of his country didn’t appreciate the words of a hymn sung in his church. Then I pray for President Trump and the authorities of our government. I pray that government—no matter who holds elective and appointed offices—will not be “armed with cruel hate” but will serve the American people with justice. Returning to the personal, I pray for the annual performance goals I have set in my self-evaluation at the University, helping me keep them in focus as I work through the year. Finally, I pray for specific people who are facing sickness and chronic disease. I haven’t always followed this same approach to prayers in detail, and I will surely change it as new seasons and circumstances arise and as I experience new creative urges to mix things up. I don’t always manage to pray through the whole structure every day, although I never fail to pray through the Lord’s Prayer and prayers for my family. I include the reading of six chapters of the Scriptures each day, usually in the morning—which gets me through the Old Testament twice and the New Testament three times each year. Some days I pray this routine in the mornings and sometimes at the end of the day. If I pray the long way in the morning, I pray an abbreviated set of prayers in the evening and vice versa. Some days I pray two sets of abbreviated prayers, though I try hard to avoid it. Sometimes I feel the prayers richly, but often I do not. But the discipline and structure this approach provides helps me enormously in my walk with God. Usually prayer in the Spirit goes along with the conscious prayers. Over the course of my Christian life, I have definitely struggled to get it right and don’t claim to have perfected it now. I hope that my confessions about prayer will encourage you to think purposefully about the way you pray. Feel free to point out deficiencies to me in my approach! In any case, be certain to pray. And if you would like a new book on prayer, check out Keller’s book.